earlier this year after it could no longer sustain the losses. As part of rebuilding the company to become a "leaner retailer", Woolworths says it has removed 500 roles over the last year. Woolworths is addressing the imminent threat from Amazon by forming a task force to take on the US online retailing giant when it launches in Australia next year. 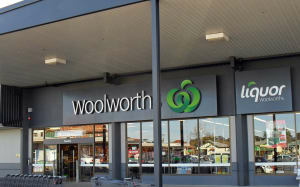 At yesterday’s annual meeting with shareholders, Woolworths said the team will be different to that which competes with Coles and Aldi, and was established solely to respond to Amazon. 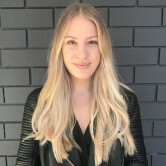 To head the team, former US retail executive Kathryn Tesija has been re-elected to the Woolworths board to provide coaching and insights. The announcement follows news that Amazon was planning to enter the Australian market, which could potentially crush retail competitors. Amazon plans to launch a fresh food move that would pose a huge threat to retailers, including Woolworths, Aldi and Coles. Woolworths also warned it would get nothing for its Big W business if it sold the chain tomorrow, after shareholders questioned the future of the chain, after its CEO Sally MacDonald resigned after only 10 months in the role. Chairman Gordon Cairns admitted the market for Big W has been harder than he anticipated, but there will be no decisions made on it until it’s been improved. Woolworths sold its Masters business earlier this year after it could no longer sustain the losses.